10-Day New You Boot Camp is Here! The 10-Day New You Boot Camp is a program about leveling up and getting more focused on your weight loss goals. 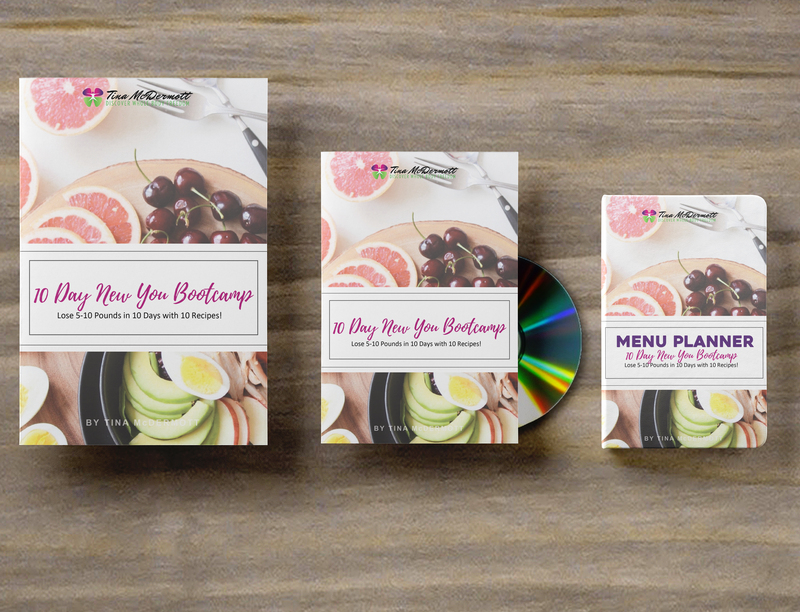 This low-cost program is a perfect program for someone who wants to make a small financial investment but a BIG health investment in their weight loss and future health. This program IS NOT demanding, expensive or intense. It’s all about building more nutritious foods into your life because 80% of weight loss starts with eating right. What’s Inside the 10-Day New You Boot Camp? PLUS! You’ll get to eat 6 times a day. No starving. No counting calories. Just tons of yummy foods for breakfast, lunch, dinner and even snacks! Once you complete your purchase of the 10-Day New You Boot Camp you will get access to the “Getting Started Guide”. Download the guide and I’ll explain everything. Also, within a few minutes of sign up you’ll get your first email which will also walk you through each of the steps you’ll be taking for the next 10-days. This program is 10 days long and during that time you’ll get on-going, daily support from me. You’ll want to check your inbox for all the info and supplemental information. Forever. Seriously. You can use the content from this program as long as you like.